Oliver Sacks, scientist and storyteller, is beloved by readers for his neurological case histories and his fascination and familiarity with human behavior at its most unexpected and unfamiliar. 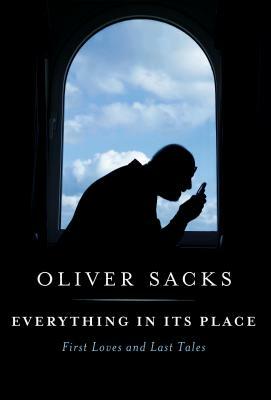 Everything in Its Place is a celebration of Sacks's myriad interests, told with his characteristic compassion and erudition, and in his luminous prose. Dr. Oliver Sacks spent more than fifty years working as a neurologist and writing books about the neurological predicaments and conditions of his patients, including The Man Who Mistook His Wife for a Hat, Musicophilia, and Hallucinations. The New York Times referred to him as "the poet laureate of medicine," and over the years he received many awards, including honors from the Guggenheim Foundation, the National Science Foundation, the American Academy of Arts and Letters, the American Academy of Arts & Sciences, and the Royal College of Physicians. His memoir On the Move was published shortly before his death in August 2015.